Help us continue freely providing this ministry just as we did for AaRaya by virtually 'filling' a baby bottle. Click the button below to give a gift! This is my second pregnancy and I am expecting a beautiful baby girl. With my first pregnancy, I was surrounded by family and friends who were there to support me emotionally. For someone who has always struggled with depression, it is important to me that I have a strong support system. Although I can spend time on the phone with my family, it is not as comforting as being face to face and having them by my side during pregnancy. My Life Clinic has been a blessing in both the support and kindness shown by each staff member. The classes offered that both teach and enlighten as well as the bible study I get to participate in goes to strengthen my faith in God. 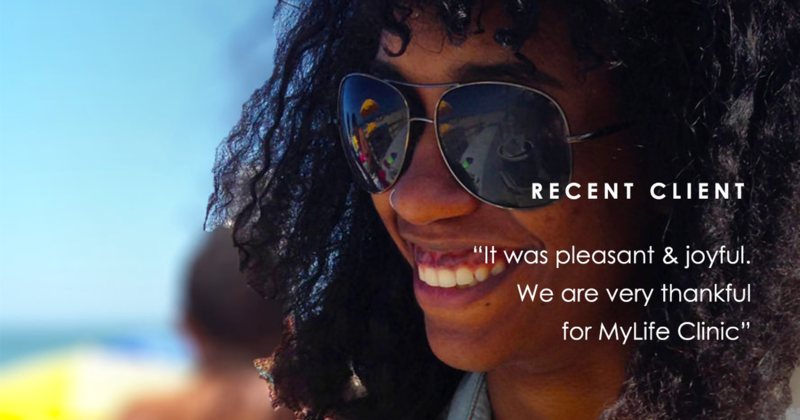 Candice, in particular, has been outstanding in offering a listening ear as well as being open in sharing her own life experiences allowing me to feel that I am not just a client, but a friend. Shirley is such a great teacher, I am able to follow along and have great discussions with her in both the classes and bible study. I really feel the love and dedication from all of the staff and the effort they put into My Life Clinic. 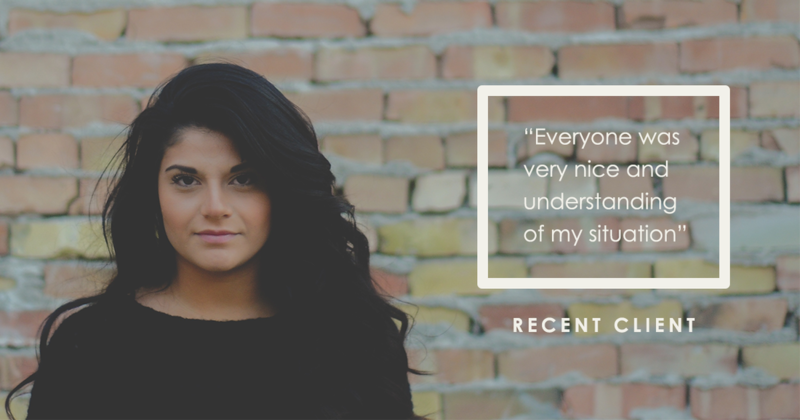 I also really enjoy being able to share my experiences with other women attending the classes. I was very ecstatic to find out that by taking these classes I would earn “Baby Bucks” which allow me to shop in the boutique for everything I could ever need during pregnancy and items for the new baby! 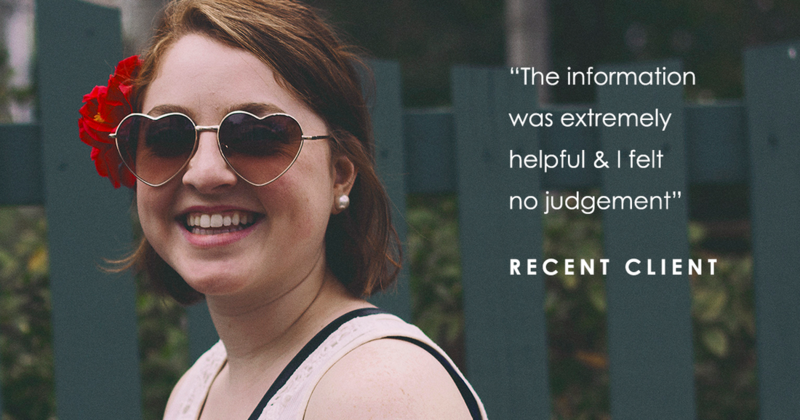 "In July of 2013, I found myself in one of the scariest situations of my life. I was 8 weeks pregnant and just graduated high school. I had no ideas what to do, but thankfully a Google search led me to My Life Clinic. Before working with you all, I was certain that I was going to have an abortion. However, upon meeting with a counselor and nurse at My Life, I found such encouragement. I don't remember the names of the nurse or counselor, but I will never forget being told that I could be a mom and I could even be a good one." 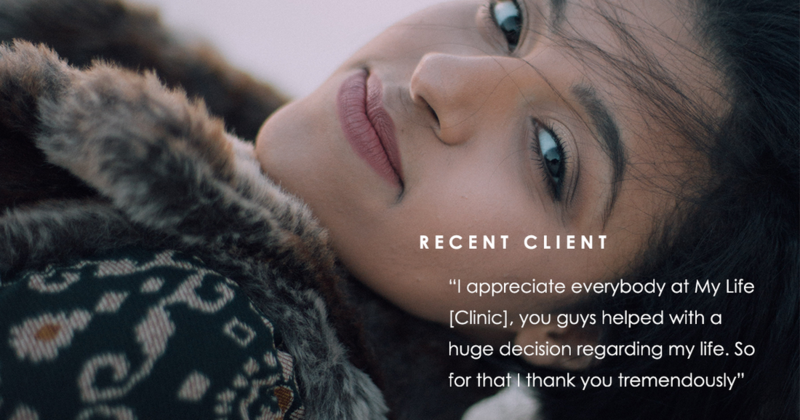 "I found out I was 4 weeks pregnant and didn't have good insurance at all, [My Life Clinic was] so wonderful to me and I am so happy that My Life Clinic was there to help me through my first trimester of pregnancy :-) Thank you so much to the wonderful staff. I also received so much information and a free breastfeeding pump they were giving away, what a life saver!!! Thank you all again!" ​"Sixteen years ago, a few weeks after the beginning of my senior year at Mizzou, I discovered that I was pregnant. As I'm sure all young girls are in that situation, I was scared and in denial. I had already taken a test on my own, and was hoping that I had done it wrong. 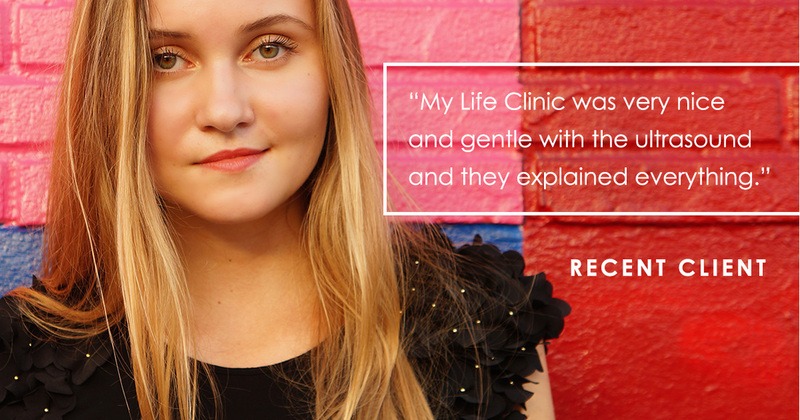 I was pretty sure that I would not have an abortion, but I really didn't know what I would do. My older half-sister had been forced by her mother at the age of 15 to have an abortion against her will, and had attempted suicide on her 16th birthday. Her grief always stuck with me, and I didn't think I could live with choosing an abortion. I remember that it was on a Tuesday morning that I drove by myself to Planned Parenthood to get a free pregnancy test. I knew that they may try to persuade me, but all I wanted was a pregnancy test. By God's grace, they were closed, so I drove to what was probably Open Arms at that time. 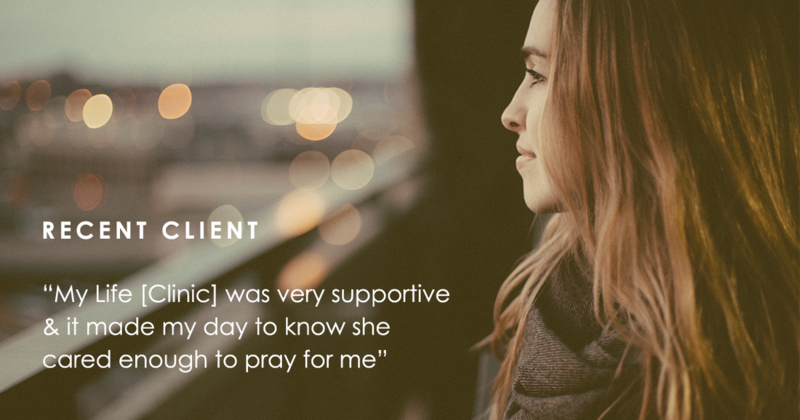 I remember speaking with a counselor, and I remember her praying with me. It was strange to have someone else pray with me, but it was not unwelcome. I've never forgotten how she prayed with me. My pregnancy was confirmed. The counselor helped set up an appointment for me with Dr. Michael Burks. I received amazing care from him and his nurse, and went on to give birth to my beautiful daughter, Jocelynn, on May 2, 2000, just 24 hours after I walked across a stage and received my college degree." "When I was 19, I found out I was pregnant with my first child. I wasn’t working and had no clue what to do, the only good thing was that I already had my own place. A friend told me I should go to My Life Clinic and that they could help me. When I arrived they comforted me and let me know that everything would be ok. Not only did they give me a pregnancy test, but they also gave me an ultrasound and information on the next steps to take. After I had my son, they welcomed him and helped me get things I needed. A few months passed and I found out I was pregnant again. My son was only 3 months old, what was I going to do. I was not ready for another baby. Again, My Life Clinic helped. They gave me plenty of information with details about abortion. During my ultrasound to determine how far along I was, they also discovered it was twins. And not only was it twins, but they told me the babies would be born before my son turned one. This was crazy, what was I going to do. I’d have 3 babies under the age of one and I was only 20 years old. I had read enough information to know that abortion was not going to be an option. Today I have 4 month old twins, one boy and one girl, and a fourteen month old little boy. I love my children to death and because of the continuous support from My Life Clinic I am finding the courage to better myself by becoming a nurse. I graduate in May 2015 as a Licensed Practical Nurse."